Childhood has been identified as the most important period in a person’s ‘dental life’. We have found that even when children have been to the dentist before, they often do not know what to expect when they come to see us. It is our aim that every child should have a sound, healthy and beautiful smile and be treated in a caring, gentle environment where a visit to the dentist is something to look forward to. 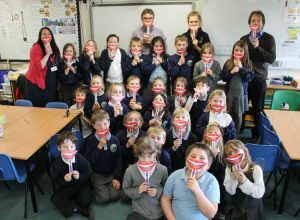 We firmly believe that this approach prepares the child to enter adulthood with a positive attitude towards dental health. Read the 10 things you should know about children’s dental health. Regular visits to the dentist are essential in the identification of and treatment of any problems at an early stage. We recommend that all children from the appearance of their first tooth should have a check-up every 6 months. For children of 6 yrs and over a dental hygienist appointment can be arranged if advised by the dentist. 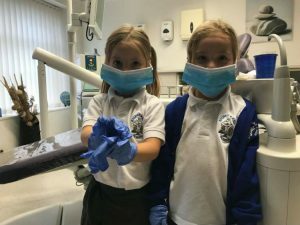 Dental examinations for under 6’s are free of charge if the parents are patients at the practice and young children are given motivational stickers, appropriate advice and a clean teeth certificate at Black Swan Dental Spa. We also have our Children’s Care Plan available for your complete peace of mind and cover. Read more about ongoing children’s dental care. Read about what to expect on your first child’s visit to the dentist.